Quick Article Submitter is an absolute sanity saver! I'd spent hours submitting to directories and was tearing my hair out, I came across your software and I couldn't believe how easy and straight forward it made the whole process. I seriously can't thank you enough. Being an SEO writer meant hours of research every day but now with Article Pro I just spend maybe half an hour on research-it’s incredible I get so much more writing done. Quick Article Pro provides you an access to this web site on the terms and conditions outlined below. The information on this web site is protected by law, including copyright law. COPYRIGHT NOTICE: Copyright © 2007-2019 Quick Article Pro. All Rights Reserved. You can view, copy, print, and distribute documents within the web site (such as FAQs, datasheets, and so on), subject to your agreement that: you can make use of the content for information, personal, and commercial purposes if need be. You can modify the documents or graphics, can copy or distribute graphics separate from their accompanying text. The permission above does not include permission to copy the design elements, look and feel, or layout of this web site. These elements of the Web site are protected by law, such as trade dress, trademark, unfair competition, and other laws, and may not be copied or imitated in any manner. The application that is made available to you is the copyright work of Quick Article Pro, and/or Quick Article Pro’s suppliers. You may use a Quick Article Pro, trademark or product name to refer specifically to such Quick Article Pro, product in marketing and promotional materials, books, conferences, applications, demonstrations, and so on. You adhere to these Quick Article Pro, and Trademark Usage Guidelines. 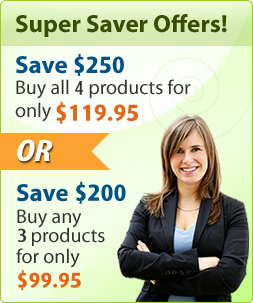 You do not disparage Quick Article Pro, or Quick Article Pro’s products and services. Use appropriate markings. Always designate the trademark with the appropriate ™ or ® symbol. 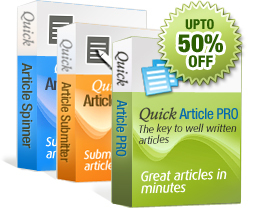 The first usage or most prominent usage of a Quick Article Pro, product name must be used in conjunction with the Quick Article Pro ® trademark and in the same type size, font, color and line. You may not use any Quick Article Pro logos (including buttons and graphic symbols) without a trademark license from Quick Article Pro All usage of trademark logos shall be pursuant to these guidelines and any other guidelines associated with that logo. You may not use or imitate any Quick Article Pro slogan or tagline such as "what the web can be". Quick Article Pro trademarks should you, or any viewer of this information, web site, or publications respond with information, feedback, data, questions, comments, suggestions, or the like, any such response shall be deemed not to be confidential and Quick Article Pro shall be free to reproduce, use, disclose, and distribute the response to others, without limitation. You agree that Quick Article Pro shall be free to use any ideas, concepts or techniques contained in your response for any purpose whatsoever including, but not limited to, developing, manufacturing, and marketing products incorporating such ideas, concepts, or techniques. Except as expressly provided otherwise in an agreement between you and Quick Article Pro, neither Quick Article Pro, nor any third party has conferred upon you by implication, estoppel or otherwise, any license or right under any patent, trademark, or copyright. Except as expressly provided otherwise in an agreement between you and Quick Article Pro, all information, application, the web site are provided "as is" without warranty of any kind and Quick Article Pro hereby disclaims all warranties either expressed or implied, including, but not limited to, implied warranties of merchantability or fitness for a particular purpose. In addition, Quick Article Pro, disclaims any warranties of non-infringement, title, or quiet enjoyment. You assume all risks concerning the suitability and accuracy of the information within the web site. The web site may contain technical inaccuracies or typographical errors. Quick Article Pro assumes no responsibility for and disclaims all liability for any such inaccuracies, errors, or omissions in the web site in any other referenced or linked documents. Quick Article Pro may make changes to the information, web site, applications, prices, technical specifications, and product offerings at any time and without notice. The web site and applications are distributed internationally and may contain references to Quick Article Pro products, programs, and services that have not been announced in your country. These references do not imply that Quick Article Pro intends to announce such products, programs, or services in your country. Our softwares are single-license products, thus one license copy will work on only one computer. For extra licenses, please contact support or fill the Volume Licensing form. We will honor its return policy. Copyright 2019 Quick Article Software. All rights reserved.